This leather bible cover features a zippered main pocket, hand strap, pen holder inside, self-closing front pocket, and additional zippered front pocket with cross zipper-pull. Zippered Main Pocket Hand Strap and Pen Holder Self-Closing Front Pocket Additional Front Pocket with Cross Zipper-Pull Measures 9-3/4” x 7-1/2” x 1-1/2” (flat and empty). • International Customers: The cost of the item will be put on the package per Customs instructions (shipping cost will not be included). As Customs has requested we cannot ship any items as gifts. • Items will be shipped by carrier of our choice generally on the same or next business day of receiving full payment. We ship Monday-Friday and are closed on weekends. If your order comes in over the weekend or late Friday after our pickup, the earliest it will ship is Monday (which would be less than one business day). 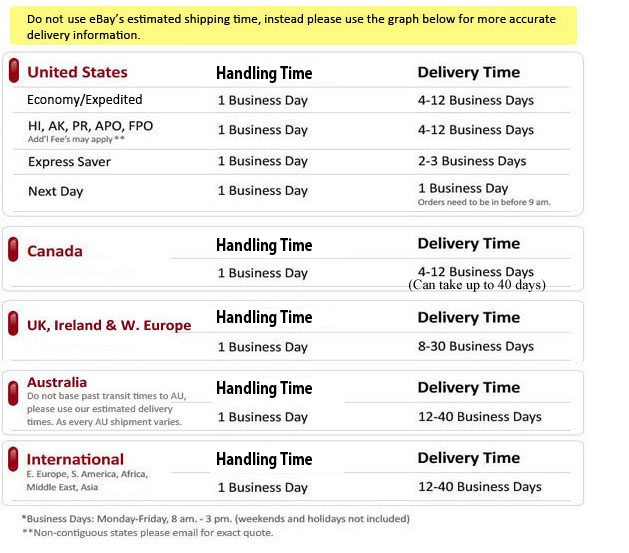 The latest it will ship would be Tuesday (one full business day). • Tracking/Delivery Confirmation Number will be provided via email. Be sure to look at your 'About Me' page and you should also see an updated tracking number there as well. Packaging of products may vary from picture due to manufacturer design changes or shipping preferences. If free item was given with the product, the customer must return the free item in non-used original condition. A: eBay does not have an automatic process for combining separate transactions at this time. However, if you make several purchases from our store in a timely manner, we will be able to combine shipping costs. To do this, DO NOT PAY FOR ITEMS until you have sent us a combined shipping request and have received a message back with the quote. If you pay for any of your items before requesting and received the combined shipping quote, we cannot refund you to combine the shipping due to Paypal/eBay fees. A: Unfortunately, all of the information that we have about this item is already posted in our product description page. If you’re looking for further detail, you might want to check the manufacturer or publisher website. Their sites frequently contain details about an item’s specification such as physical dimensions, size, weight, included accessories, format, edition, version, color, etc. Additionally, we do not provide technical support or confirm if an item is compatible. A: This request option is available for some items we offer based on inventory levels and other qualifiers. For other items, it is not an available option. Please send us a message before purchasing if you are looking to make a special request, so that we may check to see if the option is available. When you purchase an item, all request must be placed in the Note Section of PayPal. Request done through eBay messaging or email may not be noted quick enough before the product is shipped out.